Oluwo of Iwo, HIM Oba Abdulrasheed Adewale Akanbi, has cautioned ritualists/fraudsters to stay off Iwo or incur royal curse. 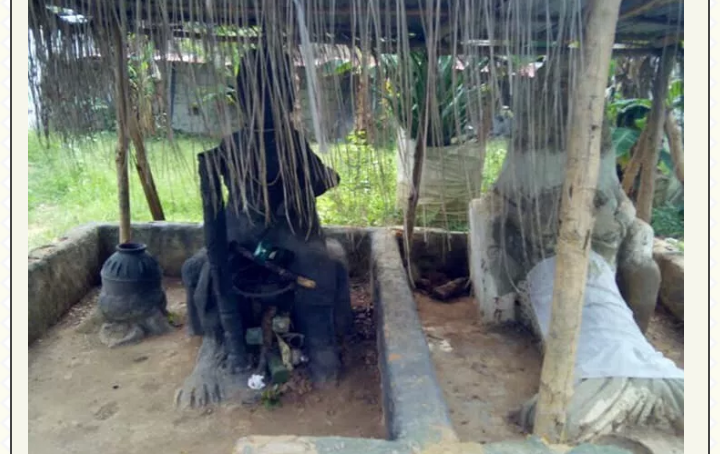 The remark was made after the discovery of a ritualists den in Elewonta village in Iwo, Osun State. The Assistant Inspector General of Police, Zone 11, Agboola Osodi-Glover conducted his officers to inspect the den belonging to a man popular called Melue. The suspect was arrested following a tip off. Melue took security men round the den besieged with fetish items with many undergrounds. Another den at Olanbiwonnu village purportedly belonging to the same Melue, was also uncovered.